I love it when people offer me glut produce and make sure I don’t waste it. Last weekend my Mum sent me home with a large bag of windfall apples. They were coming for lunch today so when she rang to say she would bring another bag of apples I thought I better put some to use for lunch! The only problem with windfalls is they are often small and take ages to peel! 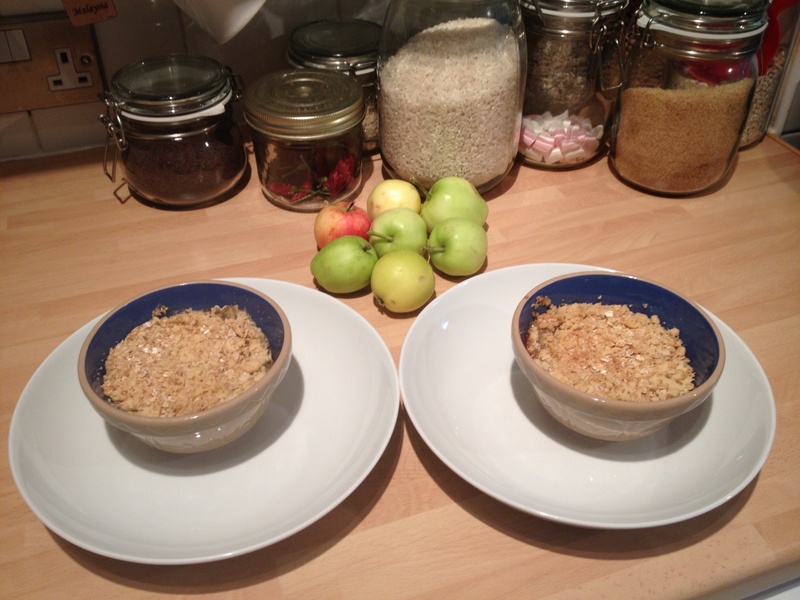 This is my crunchy crumble recipe. 2. Spoon the stewed apples into an ovenproof dish (or four small ramekins). 3. Rub together flour and butter until resembling breadcrumbs. 4. 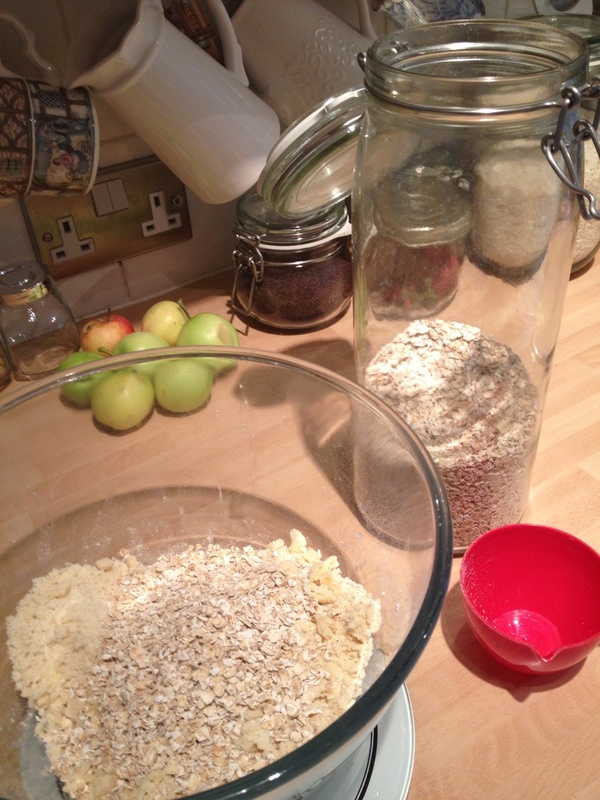 Simply stir in the oats and Demerara sugar and sprinkle over the fruit. Another simple, economical recipe that uses up seasonal produce. 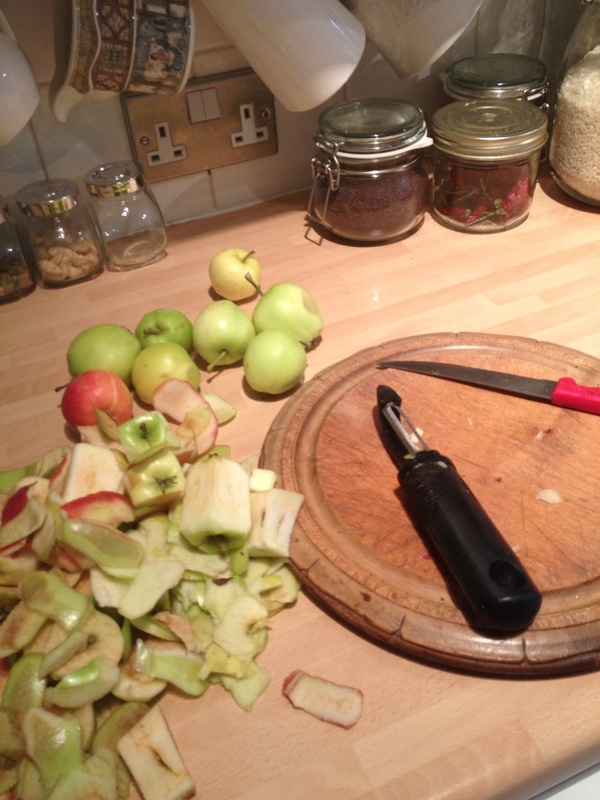 Windfall apples – most people don’t even know what these are now and just expect perfect ones from the supermarket. Lovely crumble. I love it when I get produce for nothing! Must be my Yorkhire genes from my mum!